 Welcome to the website of Melinda Bargreen, a Washington State writer, critic, composer and teacher. After 31 years as classical music critic of The Seattle Times, I’m now spending more time on my own creative projects. On this site, you can browse my blog, contact me about freelance writing projects; hear (and order!) some of my music, and chat about the amazing arts scene in the Pacific Northwest. Enjoy -- I’m glad you’ve found this page! The past 50 years have seen a tremendous arts boom in Seattle, which has given the city not only internationally recognized classical music institutions but also great performance halls to showcase their work and that of visiting artists. From Igor Stravinsky’s presence as guest conductor at the World’s Fair in 1962, to Speight Jenkins’s masterly production of Wagner’s Ring cycle, to the work of benefactors such as Jack and Becky Benaroya, Seattle is deservingly well known as a city of the musical arts. In Classical Seattle, Melinda Bargreen documents the lives of prominent figures in the local classical music world. Informed by Bargreen’s experience as a music critic and drawing on interviews she conducted over several decades, the 35 biographical profiles presented here illuminate the conductors, performing artists, composers, arts organizers, and arts leaders who have shaped Seattle’s classical music community and made world-class performances possible. Among the individuals featured are University of Washington virtuosi, Seattle Symphony maestros and musicians, and Seattle Opera directors. MELINDA BARGREEN, a Seattle-based writer and composer, was classical music critic for the Seattle Times from 1977 to 2008. She is the author of 50 Years of Seattle Opera. 320 pp., 40 illus., 6 x 9 in. 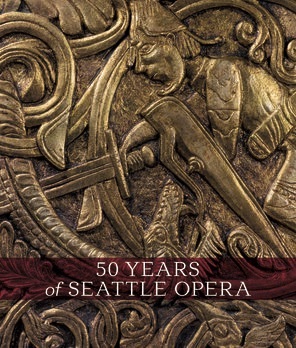 “50 YEARS OF SEATTLE OPERA,” my book for Seattle Opera’s 50th anniversary, was published in August of 2014, with a complete history of all the company’s productions, people, innovations, and -- of course -- the Wagnerian “Ring” that has made Seattle famous in cultural centers around the world. The book, published by Marquand Press, is now available at Seattle Opera’s store, http://seattleopera.org/shop/detail.aspx?ID=524&catID=3 -- in celebration of the company’s Golden Anniversary festivities and its farewell to visionary general director Speight Jenkins, as he passed Wotan’s Sword to successor Aidan Lang. Seattle Opera is now half-a-century old! Founded in the aftermath of Seattle's 1962 World's Fair, Seattle Opera has become one of America's most respected opera companies and a powerhouse in Seattle's cultural scene. Now, to mark the company's growth and accomplishments, we are pleased to announce the publication of a stunning new large-format book: 50 Years of Seattle Opera. 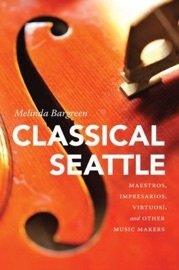 Written by Melinda Bargreen and published by Marquand Books, a Seattle-based designer and producer of fine art books. Bargreen has reviewed and covered the highs and lows of Seattle Opera on behalf of The Seattle Times for close to 40 of the company's 50 years; she writes with a unique authority on the subject. Bargreen's vivid narrative combined with a treasure trove of rare photographs will bring readers backstage, onstage and into the orchestra pit to see great moments of Seattle Opera history. It's all here, from the pioneering days of opera in Seattle and the power struggles at the company's inception; details of founding General Director Glynn Ross's close friendships with superstars Joan Sutherland and Beverly Sills, his pie-in-the-sky idea of presenting Wagner's Ring in Seattle, and what happened when his vast ambition finally reached its limit. The book continues with the Speight Jenkins saga, beginning with his first Seattle appearance (as a speaker on the Ring) to the triumph of operatic glasnost he engineered when Seattle Opera gave War and Peace for the 1990 Goodwill Games, to the creation of McCaw Hall and beyond. Bargreen recounts all of the company's world premieres: Of Mice and Men; Tommy, the rock opera by The Who starring Bette Midler; and the more recent Amelia (2010). The 11" x 19" book features a "Who's Who" of more than 50 key players including Marion Oliver McCaw, Henry Holt, Archie Drake, Perry Lorenzo, Vinson Cole, Jane Eaglen, Greer Grimsley, and many others. 50 Years of Seattle Opera is available exclusively through the company's gift shop at McCaw Hall and at http://seattleopera.org/50thBook. The book is $55 for opera subscribers and $65 for the general public. “50 Years of Seattle Opera” chronicles the history of one of Seattle’s premier arts organizations, and how it came to flourish under the direction of Glynn Ross, Speight Jenkins and Henry Holt. Microsoft had Bill Gates. Starbucks has Howard Schultz. And the Seattle Opera had its own leading men, Glynn Ross and Speight Jenkins. Regarding the question of whether the man makes history or history makes the man, the commemorative coffee-table book “50 Years of Seattle Opera” echoes with the importance of specific individuals throughout the opera’s history. But — as any lover of the art form can tell you — a successful production is not just about the stars. Good opera requires a solid supporting cast. Former Seattle Times classical-music critic Melinda Bargreen has done a meticulous job of spreading the credit in “50 Years of Seattle Opera.” But her narrative portrays opera general directors Ross and Jenkins, who between them ran the show for a half-century, as the ones who literally and figuratively set the stage for not only the city’s opera company, but also its international reputation as a place where opera junkies — well, at least, Wagner junkies — had to come. Add music director Henry Holt at the conductor’s podium, and you have the Three Amigos of opera history in Seattle. Ross was the toothy impresario who arrived in 1963 to become the director of a new entity that had roots in the Seattle Symphony and would later start the dance company that eventually became Pacific Northwest Ballet. The first director was a fearless promoter — “Nothing succeeds like excess,” he believed — but also a visionary who knew quality and chased after the best, Joan Sutherland, Beverly Sills and Franco Corelli among them. It was Ross who decided to produce the “Ring,” Wagner’s four-opera cycle, starting in 1975 and continuing each summer through 1984. Presented in both English and German, the Seattle “Ring” earned a reputation for its traditional staging (no Euro-trash here) and attracted operagoers from around the world. Ross’ successor, every bit as dedicated to opera in general and Wagner in particular, was as measured as Ross was impulsive. Jenkins, who continued the company’s emphasis on education with his own fine lectures, led the organization through rough economic times, while never losing sight of what gave the Seattle Opera its distinction. Under his hand, the “Ring” Cycle was produced every four years, and the International Wagner Competition became a showcase for young singers. Of course, Ross and Jenkins needed lots of donors to make their dreams happen, and they found them in the slew of Seattleites whose names fill the book’s pages. The glittering McCaw Hall, named for Marion Oliver McCaw, is one obvious tribute to civic pride and opera’s importance, but before the McCaws came Virginia and Bagley Wright, Sam and Gladys Rubinstein, Boeing — the list goes on. Bargreen also does a yeoman’s job of showcasing staff, performers and the productions, while not losing sight of the larger story. This torrent of information is digested with the help of photos, sidebars and a final catalog of every opera performed along with the names of those in leading roles. “50 Years at Seattle Opera” adds a valuable chronicle to the history of the performing arts, and the index refers readers to further information at the online archive seattleopera50.com. The book is available at Seattle Opera. Ellen Emry Heltzel is a book critic and operagoer who lives in Portland, Ore. This is a disc that may change your mind forever about the potential of the tuba, that anchor of the concert band and orchestra that is so often relegated to oom-pahs and the bottom notes of the brass chorale. Not this time! Agile, mellow, sonorous, and virtuosic, In Motus features faculty members from the University of Idaho and Washington State, as well as freelance players from the Austin (Texas) area: Drs. Albert and Sarah Miller on euphoniums, and Dr. Chris Dickey and Genevieve Clarkson on tubas. The big surprise here is the quartet’s navigation of the third movement of the Shostakovich String Quartet No. 3, all snappy vigor and fleet-fingered virtuosity. This is a rendition that must be heard to be believed; hats off to Sarah Miller, who gets the speedy first-violin part just right. The disc’s other repertoire is also surprising, including transcriptions of everything from Tielman Susato Dances to selections from Britten’s “Peter Grimes” and Saint-Saëns’ “Christmas Oratorio.” New works for tuba quartet by Omar Thomas, David Von Kampen, and Joshua Mills also offer some surprises. Mills’ setting of the serenely plaintive Josquin des Pres chanson “Mille Regretz” opens like an explosion in a munitions factory; this is creative deconstruction indeed. Chris Dickey, who teaches tuba at Washington State University and is a member of the In Motus tuba quartet, is the featured soloist on this disc spanning Vivaldi and contemporary composer James Grant (whose eponymous, gently lyrical “Just a Thought” gives the CD its title). Dickey’s own attractive transcriptions will doubtless expand the repertoire for tuba and euphonium, though it will be hard to match the smooth tone and melodic flexibility he attains in the solo work (with Dickey’s WSU faculty colleague, the adroit pianist Karen Savage). Because few composers of the past recognized the solo capacities of lower brass instruments, Dickey has reworked both familiar and unfamiliar repertoire for his tuba and euphonium. A set of Henri Duparc songs displays his expressive capabilities (“Extase” is particularly nice), and a set of early Alban Berg songs is a fascinating traversal of that composer’s experimentation with tonality and atonality. The level of pitch and rhythmic accuracy and technical virtuosity is extremely high throughout. If you have never considered the tuba or its lighter-weight brother, the euphonium, as solo instruments, this is a disc to open your ears. Mark Hilliard Wilson, guitarist, “El Sueño del Camino”; Rosewood Recordings. The “Camino” (road) here is the 800-year-old pilgrimage route in northern Spain – the famous Camino de Santiago de Compostela – where Seattle-based guitarist Mark Hilliard Wilson was invited two summers ago to perform by the organization Camino Artes. The experience inspired Hilliard to put together this recording of music he played on, and was inspired by, the ancient Camino. Well known in the Seattle guitar community and in St. James Cathedral as a composer as well as performer, Wilson has chosen a beautiful and evocative lineup of works for this disc, and he plays them sensitively and expertly. The repertoire here varies from the gracefully serene (two of the 13th-century Cantigas de Santa Maria) to the effervescent and triumphant (the “Canarios” of Gaspar Sanz, arranged by Narciso Yepes), with a generous sampling of music of our own time by Rodrigo, Pipo, Navarro, Piazzolla, and Walter Heinz (the charming and colorful “Concordances”). Wilson draws an extraordinary array of subtle textures and colorations from his instrument, creating a sonic world in which the listener can easily imagine the sights and sounds along those ancient roads. “Violin Down,” by John Weller (self-published; $12.99, 133 pages). Seattle Symphony fans know John Weller as assistant concertmaster of the orchestra – and also as acting concertmaster for several concerts (particularly the Pops concerts led by the late Marvin Hamlisch). But few orchestra regulars have any idea of Weller’s unusual route to Seattle, where he lives aboard his sailboat Poème when he is isn’t onstage at Benaroya Hall. Weller began his musical career as a violin prodigy who grew up in a musical family, discovering the fiddle in grade school and immediately demonstrating a special talent for the instrument. By his eleventh birthday he was already a concerto soloist with the high-school orchestra, and the next year he became the youngest member of the Portland Junior Symphony, soon winning concerto contests. A bizarre and self-inflicted accident derailed his upward trajectory, and Weller found himself unable to play – fearing and resenting the violin that had previously been his greatest joy. He dropped out of college, selling toys at the Meier & Frank department store, riding a motorcycle at top speeds to combat depression, and volunteering as a hospital orderly. Finally, after much nagging, a friend persuaded him to have another try at the violin. At first desperately rusty and out of shape, Weller struggled mightily, finally rediscovering “a vague sense of familiarity” and “the sweetest aching imaginable” to make the violin sing again. The rest of the book recounts Weller’s gradual progress back as a reborn violinist, auditioning for the Oregon Symphony, and then for the Seattle Symphony – where music director Rainer Miedel assigned him one of the coveted top spots in the first violin section. Later there were also several summer seasons in New York’s Mostly Mozart Festival Orchestra with Gerard Schwarz, and many concerts with Seattle’s beloved and late Pops-meister Marvin Hamlisch, with whom Weller had a particularly great rapport. Weller writes compellingly about the joy and pain of making music, the feelings of onstage panic as he recalls the years when he couldn’t play, and the rapture of playing some of the world’s greatest symphonic works. It’s quite a trajectory. The pleasures and the stresses of an orchestra player’s life make enthralling reading, in a behind-the-scenes look at what it’s really like to be an orchestral professional. The grand finale in this recorded cycle of all nine Bruckner Symphonies for the PentaTone label is suitably grand indeed: the great No. 4 (“Romantic”), rendered in living color (so to speak) by the orchestra’s former music director, Marek Janowski. A Bruckner specialist of often spectacular merit, Janowski avoids the saggy, slogging tempi and the overinflated bombast some conductors lavish on this repertoire. Instead, he imparts energy and occasional urgency to the excellent Suisse Romande players, who respond with wonderfully characterized performances: plangent woodwinds full of character, stentorian brass, and string playing that is both flexible and massive. If you’re new to this cycle, this disc is an excellent place to start. And if you think Bruckner is too ponderous for your tastes, this more mercurial reading may make you want to revisit those brilliantly colored symphonies. The sound quality (Super Audio CD/Hybrid Multichannel) is particularly fine: turn up your speakers and enjoy the wonderful pictorial clarity of this remarkable orchestra. “Por Caminos de Santiago,” all-Spanish repertoire; Michael Partington, guitar. Rosewood Recordings. 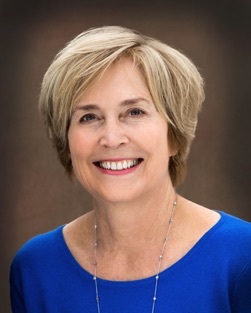 “The Musician’s Journey: Crafting Your Career Vision and Plan,” by Jill Timmons (Oxford University Press, 2013): A pianist and arts manager well known to Northwest audiences, Jill Timmons has written a book that is a valuable and imaginative guide to career directions for musicians. Her advice is fine-tuned from her experiences with her firm Artsmentor LLC, which helps performing artists and musical organizations find their own unique ways forward in a confusing and fast-changing market. Gone are the days when a performing musicians’ career path amounted to “go to Juilliard, find the most prestigious teacher in your discipline, practice like crazy, win several competitions, and you’ll get a recording contract.” Nearly every step in that well-worn ladder has crumbled and altered – and, of course, that was (and is) a career path available only to a few gifted, lucky, and well-connected young performers. But there are other options, many of them. Timmons shows readers how to find their own pathways, with personal stories from people who have made all kinds of musical careers, from higher education and chamber music to international partnerships and a wide array of entrepreneurial projects. Timmons outlines excellent strategies (and lots of examples) for writing grants, imagining your future, and building your own business model as a musician. Her bibliography offers lots of sources for further advice. You can check out further details at the book’s companion website, www.oup.com/us/themusiciansjourney. It’s for sale in both paperback and Kindle versions, and is a boon to musicians everywhere. “Dancing Fish and Ammonites: A Memoir,” by Penelope Lively. Viking Press, $26.95 (234 pages). This delightful and engrossing memoir by the 80-year-old award-winning novelist Penelope Lively accomplishes everything one could wish for in autobiographical writing. It is thought-provoking, evocative, masterly, deeply human, and – at a mere 234 pages – also succinct. And it’s unconventional, too: a preface and a set of five interrelated meditations on memory, history, books, beloved objects, and the process of the evolution of a human being over a series of decades. Not for Lively is the ordinary memoir that begins with birth and early childhood, marching sequentially on through adulthood and into old age. We discover snippets of the author’s fascinating past, through the “moth-eaten” fabric of memory that makes certain events vividly recollected, while others recede as if they’d never happened. Hers was an eventful childhood. Lively’s father was a British diplomat, and she was born in Egypt, where her early years were colored by events of World War II and by the vivid sights and sounds of Cairo. She was sent to boarding school in England, going on to study history at Oxford, and meeting her husband – whose death at 69 has deprived Lively (in common with many in her demographic) of her lifetime companion. Very little space is accorded to the fact that she also wrote more than two dozen books, most of them novels, and some of them highly acclaimed (“Moon Tiger” won the Man Booker Prize). An avid reader who cherishes and revisits her collection of blue Pelican paperbacks, Lively recounts the changes wrought by aging, concluding that “So this is old age, and I am probably shedding readers by the drove at this point. . . . And if it sounds – to anyone – a pretty pallid sort of place, I can refute that. It is not. The final chapter, “Six Things,” focuses on treasured objects (including the two objects of the book’s title: the thousand-year-old pottery shard with dancing fish, and a rock with two little fossils picked up on a Dorset beach). We learn why these deeply personal beloved objects are springboards to important memories. Lively’s book may well become a similarly treasured object for her readers. Choir singers not only harmonize their voices, they also synchronize their heartbeats, a study suggests. Researchers in Sweden monitored the heart rates of singers as they performed a variety of choral works. They found that as the members sang in unison, their pulses began to speed up and slow down at the same rate. Dr Bjorn Vickhoff, from the Sahlgrenska Academy at Gothenburg University in Sweden, said: "The pulse goes down when you exhale and when you inhale it goes up. "If this is so then heart rate would follow the structure of the song or the phrases, and this is what we measured and this is what we confirmed." From Tel Aviv comes the news that premature (30-week) infants may be more soothed by Mozart than by Bach. The study was conducted with a small research group (12 babies), but researchers at the Ichilov Hospital found nonetheless that listening to Mozart may be of benefit to the benefit of early newborns. The study divided the babies into three groups and played each group Mozart on the first day, Bach on the second, nothing on the third. After 10 minutes of Mozart, the babies’ metabolic rate dropped by 9.7%. The same amount of Bach lowered the rate by 4.5%. (When no music was played, the metabolic rate stayed level.) The conclusion? ‘Lowering the metabolism rate of premature babies causes them to lose fewer calories and increase their weight faster, which is a positive state.’ Way to go, Mozart! OPERA NEWS: Seattle Opera continues to present thought-provoking and musically successful work under the company’s new general director: English-born Aidan Lang, the Opera’s third man at the top in the company’s 50-year history. Lang, formerly general director of New Zealand Opera, succeeded Speight Jenkins in the Seattle Opera post on September 1, 2014, following a six-month transition period in Seattle when Lang worked closely with Jenkins and executive director Kelly Tweeddale to ensure a smooth changeover. Lang told this writer (for Classical KING FM) that the Seattle Opera job is “perfect for me, in three ways. The scale of the company is perfect; the timing is perfect; the place is perfect.” He is “ready to move on” from New Zealand. Born in the UK in 1957, Lang is a former freelance opera director who has held leadership positions at the Glyndebourne Festival Opera, Glyndebourne Touring Opera, Buxton Festival, and Opera Zuid (of the Netherlands). He is a graduate of the University of Birmingham and has been married for 23 years to Linda Kitchen, an operatic soprano who coincidentally was a schoolmate of Wagnerian diva Jane Eaglen. It certainly isn’t, with only two general directors (Jenkins and founder Glynn Ross) in half a century. His background in stage direction has made Lang acutely aware of opera’s crucial task in engaging audiences. His great mentor, the German theater and opera director Peter Stein, told him: “In the first ten minutes of a show, you have the audience at its maximum attention. This is when you lay down the rules of the production, making it clear to your audience what their journey is.” The key, Lang says, is clarity – communicating the opera to the audience. Look to Lang to continue Seattle Opera as a Wagnerian center. He is a longtime “Ring” devotee who has been deeply involved in the Wagnerian masterpiece, working on two cycles (including an assistant directorship in the last presentations of the acclaimed Götz Friedrich production at the Royal Opera at Covent Garden). Lang also considers the re-establishment of the Young Artists Program, which has been temporarily suspended next season due to lack of funding, a priority for the company. Restoring the number of annual mainstage opera productions to five (presently there are four) is also on Lang’s list of objectives. Leave it to The Economist to report on what really matters: whether hard-line, “despotic” conductors like the late Herbert von Karajan are really more effective in getting a great performance out of an orchestra. The British magazine cites a study (published in The Public Library of Science) in which two anonymous conductors led five excerpts from Mozart’s Symphony No. 40, with violinists whose bows were equipped with infrared reflectors (as were the conductors’ batons). A panel of 10 experienced musicians rated the performances numerically on several aspects (e.g. melody, tempo, and emotional content). They found that the conductors who imposed their will on the musicians (as measured by their responsiveness to his baton rather than their dependence on each other) produced the performances that were rated highest. Uppity musicians, let’s hear from you! Choral composition -- the intersection between words and music -- is a fascinating and rewarding endeavor. But the rewards are artistic and emotional, and very seldom financial! That’s why the occasional recognition is so heart-warming. What a thrill hen Seattle’s great choral ensemble, Choral Arts, took one of my pieces to the White House for a December, 2015, private concert before the President and First Lady! I was delighted to be named one of the top winners of the Sorel Choral Competition in 2013, and one of the finalists for the 2012 American Prize in Choral Composition. Magnificat in Hong Kong: Just heard that the Sacred Heart Canossian College Choir of Hong Kong (Renie Sinn, conductor) performed my “Gordon Magnificat” (originally composed for the Gordon College Women’s Choir) recently ... and a Belgian choir also is currently rehearsing it. Since this is an unpublished work, I am just amazed that it is going around the world. Thank you, YouTube and ChoralNet! Watch KING-FM’s “Club 98” Newsletter (and sign up at www.king.org) and The Seattle Times, as well as this website’s review pages, for reviews of current concerts as they appear. Interested in hearing the Norwegian Folksong Suite? Clips from the wonderful performance conducted by Faith M. Lueth are posted on the “My Music” section of this website. Choral conductors, want to get scores of the Norwegian Folksong Suite scores for your own choruses? Visit the “My Music” pages for details. Meanwhile, check out my recent freelance concert and opera reviews! You can click on “Some Recent Reviews” on the top menu bar. Little did I realize, when I started writing music reviews back in 1974, that this would be my career focus for more than three decades. It’s been a great run! I have heard, reviewed and interviewed some of the world’s finest, most fascinating classical artists and opera stars. And now that I’m officially a free agent, I’m engaged in a number of interesting creative projects -- and always looking for more. So welcome to this website, where you can read a sampling of what I’ve written (both words and music) and discover both the sublime and the ridiculous aspects of arts journalism. Happy reading, and listening! Copyright Notice: All information you receive on this site is owned by Melinda Bargreen and is protected by the copyright laws of the United States. Information includes stories, graphics, photographs, music, sound clips, and video files. Copyright laws prohibit copying, redistributing, retransmitting and republishing of any copyright material. You may download information from this site for personal, noncommercial use, provided you do not copy or redistribute it without the written permission of Melinda Bargreen.